New Democrat MP Jack Harris says he supports the Muskrat Falls hydro megaproject, as the provincial NDP remains non-committal. New Democrat MP Jack Harris says he supports the Muskrat Falls hydro development. 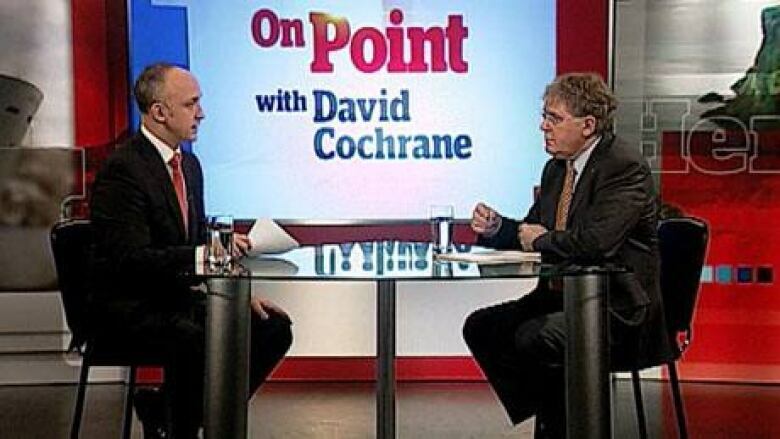 "I’m very comfortable with the upside of this project," Harris said on this weekend’s episode of On Point with David Cochrane. "We’re talking about a four-province regional grid, green grid, knocking out [the existing oil-fired power plant in Holyrood], knocking out at least two coal plants in Nova Scotia. All of this stuff is very, very, very positive." Harris served in the Newfoundland and Labrador house of assembly from 1990 through 2006, and was leader of the provincial NDP for nearly that entire period. His successor as party leader, Lorraine Michael, has been non-committal about Muskrat Falls. Michael declined to participate in this week’s Public Utilities Board hearings into the project, saying she disagreed with the process. But Harris — MP for St. John's East — has no problem with the PUB review. "I’m not looking for reasons to oppose the thing, but I haven’t seen any good reasons to oppose it at this point," he said. "What reviews have been done have given me some comfort. "My conversations with other people, including Premier (Darrell) Dexter in Nova Scotia, give me a comfort level about where this project is going. There are potentially risks, obviously. But are they risks worth taking? So far, it seems OK with me." The PUB wrapped up a truncated schedule of public hearings this week. It must submit a report to the provincial government by March 31.